Sizzling spring continues, Kyle and Jay newsletter now online! 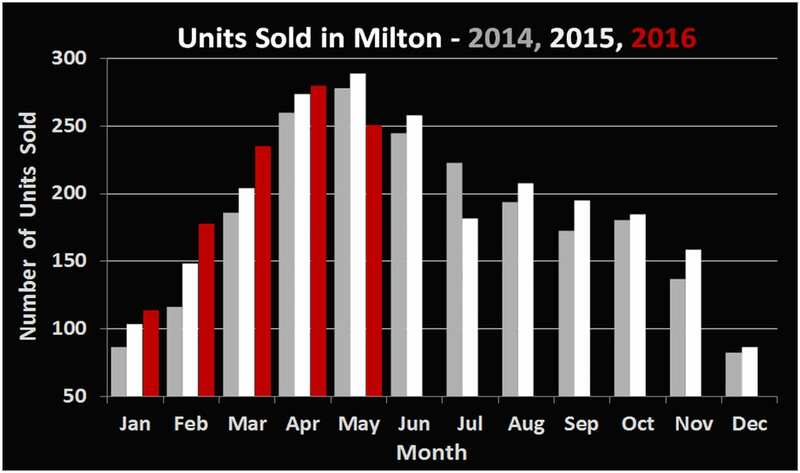 After multiple record setting months for Milton housing so far this year, things have continued to improve in May. While the 251 residential sales in May 2015 represent a 15.1% decrease in volume over the same figure from May 2015, the average sale price of $617,200 was up a blistering 16.2%. 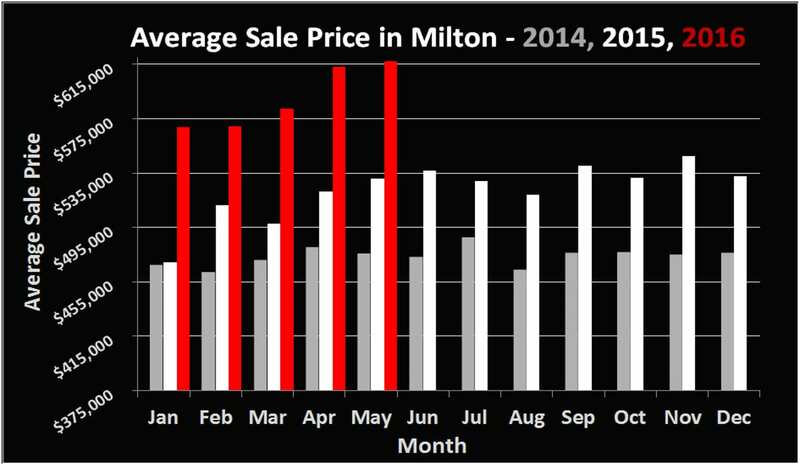 We know we are starting to sound like a broken record, but the Milton market is stronger than it has ever been. While volume is down, that is explained by the extremely low inventory levels we are currently experiencing. Many people are hesitating entering the market, knowing that the purchasing process could be stressful. There are options though and also several nearby cities where prices haven’t increased nearly as much. We’d be happy to discuss options with you so that you may also capitalize on these crazy prices. After 5 years of proudly distributing the Milton Monthly Real Estate Update to Canada Post mailboxes around Milton, we are going to be experimenting with an online version that should be more convenient for everyone. We appreciate each and every one of our readers and would like to once again thank you for your continued readership. If you’d like to sign up for the online version, visit our website (KyleandJay.ca) or send an email to info@kyleandjay.ca and we can include you in the mailing list. We will be posting older issues on our website as well (starting from Jan 2016) so you can refer back to see how the market is changing at your convenience.